I have been playing fiddle-style harmonica for 30 years or so and am interested in sharing information with other players with similar interests. I am a member of the International Bluegrass Music Association (IBMA), the Central Texas Bluegrass Association (CTBA), the Bay Area Bluegrass Association (BABA), Austin Friends of Traditional Music, the Austin Chapter of the Harmonica Organization of Texas (HOOT), and the Society for the Preservation and Advancement of the Harmonica (SPAH). I am one of the songwriters of American Heritage, and I currently play for RedEye, Manchaca All-stars, the Blazing Bows, and K. R. Wood. I also occasionally play for anyone else who desires my harmonica talents, my vocal harmony talents, my talents with the upright bass, or who needs a mandolin player or a guitar player. The Austin Friends of Traditional Music (AFTM) hosted a variety of performances and workshops at their Winter Festival on February 19, 2005, at the Dougherty Arts Center (1110 Barton Springs Road, Austin, Tx. ), including TWO Harmonica Workshops. One harmonica workshop, aimed at beginner and intermediate players, was given by Steve Kreichbaum and discussed basic harmonica skills and ideas (folk/blues/etc.). The other harmonica workshop (led by me) was aimed at intermediate and advanced players and focused more on harmonica music theory and how to use it to your advantage in any nearly music genre you wish. Many of the harmonica players attending the first workshop, also attended the second and went home with more knowledge than they expected to obtain at a festival workshop. Overall, both harmonica workshops were very informative and successful. Check back at the AFTM website in the somewhat near future for information on the next festival. The Old Settlers Music Festival (Salt Lick Pavillion, Austin, Tx. ), is getting ready for the next festival (April 21-24, 2005). For the last 5 years I have given a bluegrass harmonica workshop at this festival that has been very well received. This year we are going to widen the spectrum a little as we have invited one of the performers, Jimi Lee, to join in on the workshop. He has done a wonderful job at the last two international (SPAH) harmonica conventions in the presentation of blues and jazz harmonica, as well as a little touch of country and folk. If you are interested in bluegrass, blues, jazz, Irish, or folk harmonica, then put this festival, and this workshop, on your schedule. The Society for the Preservation and Advancement of the Harmonica will again run stellar seminars and workshops at its international harmonica convention this year, August 16-20, 2005, in Kansas City, Mo., including the bluegrass harmonica seminar enjoyed by so many at last year's convention in St. Louis. Returning to give the seminar will be Tulsa Read, P. T. Gazell, Cara Cooke (myself), and several others to be announced. Jimi Lee will also be doing his workshops, which included a little bluegrass and country last year. Come visit us at the SPAH convention. There is all sorts of music on every type of harmonica imaginable. And all of it is good. For more details on the convention and reports on the last conventions, visit the SPAH website. K. R. Wood brings the history of Texas to life with his CDs, songs, and performances (complete with chuckwagon). Visit his website to learn more about him and his music and to check out his historical "Fathers of Texas Series" of CDs. The series includes: "The Fathers of Texas", "The Crockett Chronicles", "Los Texanos", and a cowboy CD dedicated to the cattle drive years, "Camp Cookie". "Camp Cookie Christmas" with Petey and the Prairie Dogs made it just in time for the Christmas rush and will remain available for Christmas next year. (I got a chance to help out with this CD, too, and it is a lot of fun. I am not sure, but I may also be one of the Prairie Dogs. If I am not, I would sure liked to have been. They turned out unbelieveably cute on the CD.) Check out K. R. Wood's website and see what trouble this cowboy is getting into. The San Antonio chapter or HOOT just got started last year and began with a bang. 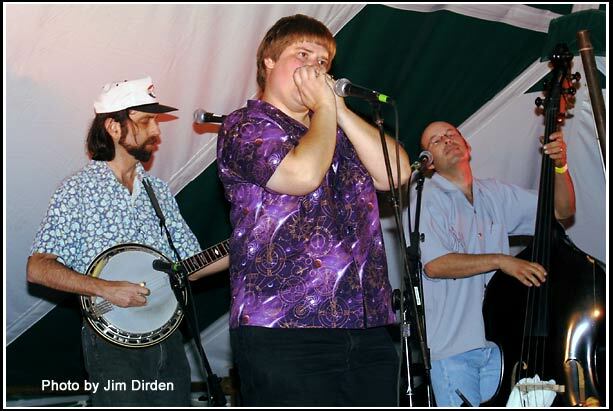 If you are a harmonica player in the San Antonio area, you should check these go-getters out. They have plans for the up-coming year and a wide-range of experience to draw on for some of their meeting topics. For more information on the local club, check HOOT's website or contact Bill Patterson at 210-408-7366 or Betty Welch. If you are a harmonica player in the Austin area (Tx. ), then you ought to drop by a meeting and say "Hello" -- maybe even give us thought or two or a tune off of your harp. Our meetings include club business and discussions, but often also include a workshop or lesson of some sort and/or a small jam. We are a small group, but we are talented and growing. We typically meet at the Dougherty Arts Center, 1110 Barton Springs Road, in the main auditorium on the 1st Monday of the month. To check the next meeting date, go to http://www.hoottexas.com/. The Austin HOOT club library is popular and growing. It contains recorded and written harmonica related materials for the use of our growing membership which was donated/loaned to the club by club members -- one more perk for the faithful membership. It is off to a flying start, but it needs the help of San Antonio blues fans. For more information, check out their site at http://www.sanantonioblues.com/ They will be glad to talk to you. Camp Bluegrass & Swing Camp 2005 is scheduled for the week of July 17 through July 22, 2005, and will be held on the South Plains College campus, 1401 College Ave. Levelland, Texas 79336. This year's Camp Bluegrass' faculty will include Alan Munde, Wayne Shrubsall, Bill Evans, Ned Lubericki, Adam Granger, Brad Davis, Steve Smith, Gerald Jones, Joe Carr, Ed Marsh, Dale Morris, Sr., Tim McCasland, Kathy Chiavola, and Bill Honker. It was a blast last year, and we learned a lot. Swing Camp (with Slim Richey) was also a blast last year and will be again this year. Note: While bluegrass harmonica is not one of the "official" study topics offered at Camp Bluegrass, I should be there again this year and I always like to meet and trade information with fellow harmonica players when I find them -- and there usually are a couple. If you want to ask them to include harmonica in their week of instruction, email them. An email address is provided for just such things on their website. They always encourage and listen to ideas, suggestions, requests, and feedback. The Manchaca AllStars are at their home venue (the Manchaca Firehall) every 2nd & 4th Friday of the month: 7:30 pm.-10:30 pm. (when the cows go home). We take requests - especially if they are for a harmonica tune!